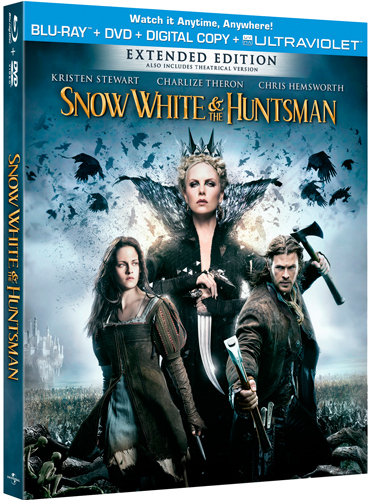 This Tuesday, Sept 11 2012, a retelling of one of childhood favorite fairy tales ”Snow White” is retold “Snow White and the Huntsman” arrives on Blu Ray/DVD combo pack. In this new retelling, the Huntsman (Chris Hemsworth) is send into the woods to kill the fairest of them all –Snow White (Kirsten Stewart). 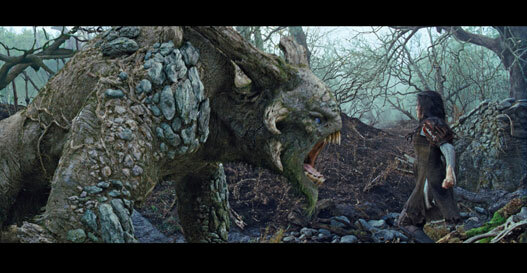 However, instead of killing her, he becomes the mentor and her protector on Snow White’s Quest to vanquish the Evil Queen (Charlize Theron). The movie also reintroduces the seven dwarfs who aid the young princess on her quest to destroy the Evil Queen. The movie was very well received in North America as well as abroad. The great cinematography and a gripping darker twist on an old favourite allows the viewers to know what to expect, yet still providing many twists and turns along the way. Out of a classic fairy tale comes a great adventure story which is sure to capture everyone’s attention. Gerry and I loved this movie. I really like how they remade this child fairy tale into a movie and loved how it seemed to have a medieval times theme to it. A+ movie! Actors and actresses were well chosen for this movie and played their parts quite well. Based on that picture you provided, it definitely looks like you're right about the excellent cinematography! I haven't seen this version just yet, but I did just add it to the top of my Blockbuster @Home queue to watch in the next couple of days. Maybe if I like it as a rental, then I can add it to my DVD collection! I'm excited to watch it because of all the mixed reviews I've been hearing from coworkers of mine at Dish. A lot of them say Charlize Theron stole the entire movie, while Kristen Stewart wasn't all that great. You mentioned all the actors and actresses were well chosen for this movie and played their parts quite well, so who was your favorite out of the main characters? I liked Kirsten Stewart in here- I really haven't had a chance before this to watch her in any movies.